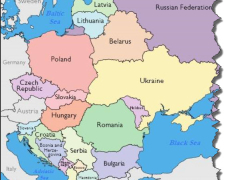 We hear about investment in new manufacturing capabilities in countries like Hungary, Poland, Estonia, Ukraine so I am keen to help you develop your part of “Eastern Europe Manufacturing”. Many companies from East Europe have booths at European exhibitions like CeMAT and the Global Automotive Components and Suppliers Expo so there is a lot of desire to attract “export” opportunities. It appears that quality is high and we understand that many companies, like Bosch, Sauer and ZF, have sub contractors in East Europe. Let me help you find some opportunities.